Yes, some drivers may operate vehicles for years or decades without ever being in an accident. Yet, others are involved in accidents periodically over the years. Your actions behind the wheel can directly affect your likelihood of being involved in an accident. To reduce the chance oi being involved in a car accident, consider avoiding these bad driving habits. Distracted driving is a common cause of car accidents. It is most commonly associated with the use of a cell phone or mobile device. However, applying makeup, eating, and fiddling with the radio can be considered distracted driving behaviors. In fact, anything that pulls your hands off of the steering wheel could be a distraction. Such things should be avoided if you want to be as safe as possible. Driving while drunk can result in serious accidents. However, there are other types of situations that are related to this. For example, prescription or over-the-counter medications could impair your ability to drive safely. This is because such things can make you drowsy or affect your vision and other senses. All influences that may impair your abilities should be avoided if you intend to drive. There are many factors on the road that can irritate you. If a driver cuts you off, for example, or if you are caught in heavy traffic. When you begin a trip already feeling angry, sad or otherwise emotionally charged, then that’s not good. These and other types of driving events could push you over the edge. They may cause you to drive erratically or at high speeds. Thus, a car accident may be the end result. Speed limit signs and other traffic signs are posted for your safety and for the safety of others. Speeding, failing to yield and other factors could potentially result in a traffic violation. Getting a ticket isn’t your only worry, though. The officer who stops you is doing so out of protection of everyone, especially yourself. He, and the rest of society, does not want your speeding to turn into a fatal situation. Always be aware of speed limit signs and all other traffic. 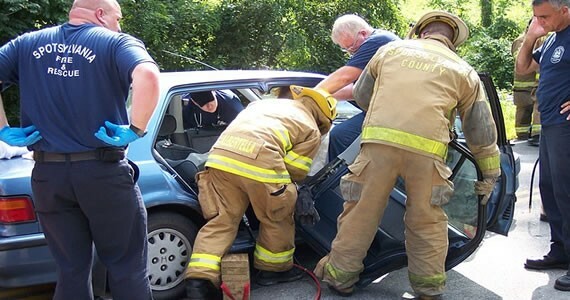 A car accident can be a stressful, costly and even painful event. You certainly want to avoid this type of event, if possible. Many car accidents could be avoided if drivers simply take proper precautions. Buckle up when you drive to help reduce the impact if an accident were to occur. Also, don’t hesitate to take legal action if necessary if you do end up in such a situation. Nothing beats the feeling every designated driver has when they are on the road. Warm breeze coming through the window, your favorite tune playing and everything is perfect. And then it all suddenly stops. Unfortunately, traffic accidents are something that disturbs this idealistic scenario and in severe cases mean the end of it for good. The only way to reduce the chance of accidents happening is to increase road safety. Here is what can and should be done by both the authorities and individual drivers. Mobile phones, especially their smart versions, have no place in vehicles during rides. Driver’s attention absolutely needs to be focused on the road and vehicle and the distraction the interactive nature of mobile phones causes is so overwhelming that accidents are imminent. The scope of this problem is so vast that the authorities need to change the laws and introduce drastic penalties for those who drive and use their phones at the same time. If you need to be available during rides, minimize the phone use and by all means use handfree sets. Seatbelts are an integral part of every vehicle for a good reason. Although the majority of people know the purpose of seatbelts, a great number of drivers and passengers still neglect to use them. The usual excuses are that they are uncomfortable to wear and ruin the beauty of driving. However, when these subjective reasons are faced with grim statistics of injuries and fatality rates due to non-fastened seatbelts, the answer is clear: drivers and all passengers need to use seatbelts without excuse and regardless of the distance travelled. Driving under the influence of alcohol and any psychoactive substances is reckless driving. Although this should be common knowledge, people still fail to apply it at all times. Some live under the false pretend that their reflexes and driving abilities become sharper and improved if they have a couple of drinks; others misinterpret the ecstatic mood certain substances create. The reality is quite opposite. Therefore, remember, zero tolerance for alcohol and psychoactive substances is necessary for safe driving. Modern technological age we live in brings benefits to road safety as well. For example, smart tires that monitor road conditions in real time and display data on the dashboard are very useful when it comes to adapting the speed and driving manner. Next, there are alcohol sensors available which prevent the engine from starting if the driver was drinking. Finally, trustworthy GPS crash cameras represent the new level of improving road safety. Infrastructure is probably the single road safety notion that is not directly in individuals’ hands. It is the authorities that need to take care of the roads and provide the best possible infrastructure for safe traffic. However, this is not always the case and drivers need to adapt to unfavorable road conditions as well. After all, personal safety comes first. Furthermore, it is somewhat our duty to react if we spot any road damage or other infrastructural problems. Finally, it is in everyone’s best interest to have safe roads. Giving the fact that the volume of traffic is increasing on a daily basis, taking extra precautions is always strongly advisable. If everyone did their best to improve personal safety and driving culture our roads would surely be a safer place. 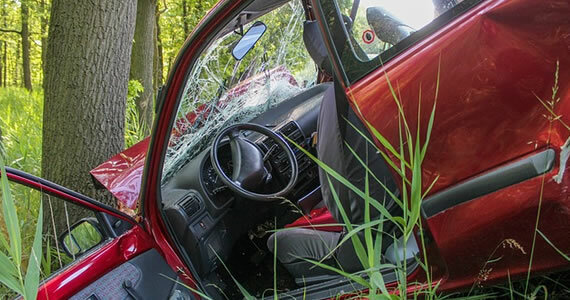 In 2012, the National Highway Traffic Safety Administration reported that more than 2.3 million Americans sustained injuries in car crashes, a figure that was up 6.5 percent from the previous year. The nature of the injuries varied, but there are six kinds of injuries that are most commonly reported. Many drivers and passengers incur brain injuries, which occur when the head strikes an object with intense force. These types of injuries can be difficult to detect because a victim may not immediately show any signs of injury, but they could still be suffering from swelling or bleeding on the brain. People involved in motor vehicle collisions may also sustain neck injuries. These can range in nature from the relatively moderate discomfort that comes with whiplash or neck strain, to the more severe and long term pain associated with disc injuries. Back injuries often occur as a result of the violent force that drivers and passengers experience when vehicles collide. These injuries can come in the form of strain, sprained, fractured or broken bones in the back, damage to nerves within the spinal column and a host of other problems. Facial injuries can occur when vehicle occupants slam into the steering wheel or dashboard, when an airbag deploys, or due to shards of broken glass propelling through the cab of the vehicle. Victims of these injuries can suffer from cuts and scrapes or more serious problems with joints and muscles of the jaw. Internal organs like spleen, kidneys or liver are sometimes damaged when a person is involved in an accident. Broken or fractured ribs sustained in a crash can puncture a lung or other organs. All of these injuries are potentially life threatening, so victims must seek immediate medical attention. Car accident victims can suffer lasting emotional problems that stemming from the crash, particularly if it caused a fatality. 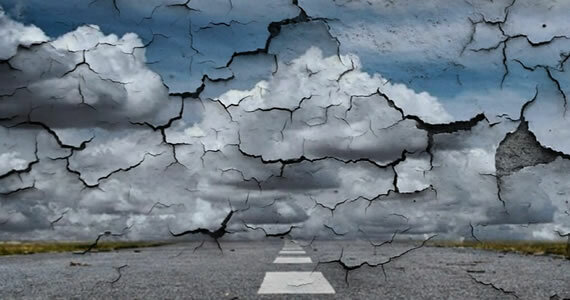 These problems could be anything from short-term emotional anguish to symptoms akin to Post Traumatic Stress Disorder. Accidents can be avoided by following traffic laws, addressing mechanical issues as they arise and through regular use of seat belts and child safety seats. Using a little extra caution ahead of time could be enough to avoid being counted among the millions who are hurt in crashes every year. If you suffer injuries in a car accident, be sure to talk to personal injury lawyer to recover your losses. Informational credit to Cantini Law Group Accident and Disability Lawyers. Motorcycle or Car – Which One Is Really Safer? When compared to motorcycles, the safety of cars has been hard to argue with over the years. 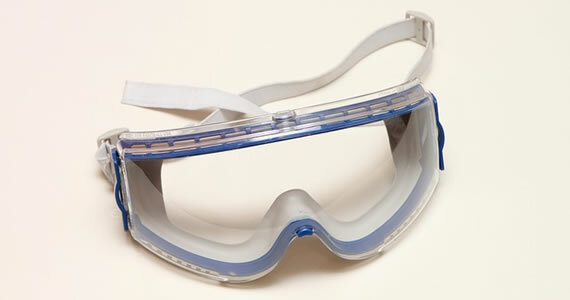 A large number of features and protective gear are found in cars. Because of the demand for cheap transportation and the nostalgia for the open road, experienced motorcyclists have challenged the perceptions of safety issues. Important changes suggest that the safety of motorcycle riding can be managed. This has made the use of motorcycles a real option for many people. Motorcyclists can point to many tactics that allow riders to get out of tough spots quickly. A motorcycle is only a fraction of the size of cars and the small size lends it a real advantage in traffic. Motorcyclists skirt lanes, jump curbs and otherwise speed out of the path of accidents long before they happen. The driver’s awareness increases on a motorcycle, and motorcyclists take care of the business of driving better than motorists. 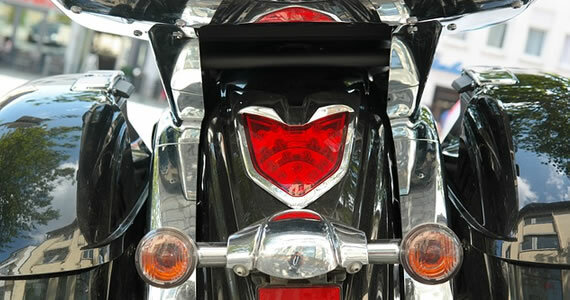 Motorcyclists see everything while in traffic. They read other drivers and they don’t rely on rules of the road to save them. They take care to communicate with other vehicles and are more cautious moving in and out of lanes. The public campaign to start seeing motorcycles has produced dividends in safety. Motorists’ growing awareness of motorcycles has contributed to fewer accidents. In addition, operating lights increase visibility, and though it annoys the public, increasing the noise the exhaust augments “visibility.” For the defensive driver, these benefits help make motorcycles safe. The only drawback for the motorcyclist – and it is significant — is that motorcyclists are exposed to more harm than motorists are. Motorcycles offer virtually no barriers during collisions. There are no side panels, air bags, seat-belts, bumpers or engine bulk to protect a motorcyclist. By contrast, motorcyclists have helmets but not much else. While automobile accidents result in injuries to the occupants 20 percent of the time, an accident on a motorcycle usually results in personal injury to a driver, a rider or both, according to sources. Ninety-five percent of accidents involving motorcycles leave the rider injured. If you happen to be involved in a motorcycle accident, you’ll want to get in touch with lawyer to help you get a fair settlement for your injury. If a rider believes an accident is likely in the future, the motorcycle is not the vehicle to use. If a motorcyclist believes driving defensively will make life accident-free, then a motorcycle is the safest vehicle. To many, It’s a matter of perception. Looking at the odds, you would have to give the nod to the car, it’s the safer vehicle, but the argument for motorcycle safety continues to gain ground. There’s no arguing that if you have the know-how to fix your own car, you can save literally hundreds, or even thousands, in repairs over the course of time. Although working on your own car can be a rewarding and money-saving venture, it can be dangerous. These are five safety tips for working on your car. It’s a good idea to extinguish your cigarette, if you smoke, before attempting to repair your vehicle. Parts under the hood that present an immediate danger when a lit cigarette is in close proximity include the fuel pump, carburetor, fuel lines, fuel tank, fuel injectors, and more. If you are working with the gas tank or even if you are just changing your oil, keep in mind these contain flammable liquids as well. To stay on the safe side, keep a fire extinguisher nearby for possibly trouble. If you plan on doing any electrical work with your car, you should always disconnect at least one of the cables from the battery before beginning. Electrical work includes installing new electrical components (ie. a radio), repairing or replacing the starter, etc. Failing to disconnect one or both of the battery cables could cause damage to the wiring in the car, or worse, could start a fire or serious injury to the person who is working on the vehicle. If you’re wearing anything that could possibly get caught in moving parts or other areas under the hood, be sure to leave it by the wayside for the repair. Bracelets, loose sleeves, neckties, and other types of accessories and clothing can easily become tangled in parts under the hood. This can lead to serious injury or death. Lastly, if you can wait to repair your vehicle after it has been running, do so. Parts such as the radiator, catalytic converter, engine, and muffler are likely to be extremely hot if the car has recently been running. Wait for these parts to cool before popping the hood and doing any work. This can save you from serious burns and other related injuries. Even though these are five very handy safety tips for working on your car, each repair is different. Before attempting a repair, be sure to do a bit of research on the specifics. Find out what you’ll need and which safety precautions you should be taking for the specific repair. My name is Lizzie Weakley and I am a freelance writer from Columbus, Ohio. I went to college at The Ohio State University where I studied communications. I enjoy the outdoors and long walks in the park with my 3-year-old husky Snowball. Lizzie found the information for this article from Airdraulics who specialize in automobile lifts.